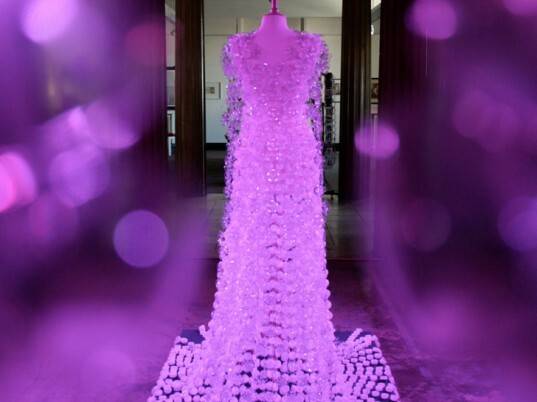 Believe it or not, this amazing dress is comprised of over 2,000 bottles, 6,000 caps, and 13,000 tags! The stunning creation, designed by Michelle Brand, was debuted at the largest inner-city mall in Britain as a reminder to all shoppers to ditch their plastic bags and start using reusable canvas totes instead. Check out the full story over on Ecouterre.